Hey, babes! I'm back in action after a mini getaway for the holiday. I had a great time hanging with my dude and our Cleveland gang, but it's time to get back to the daily grind. Work is a real bummer after a few days off. I'm sure many of you can relate. 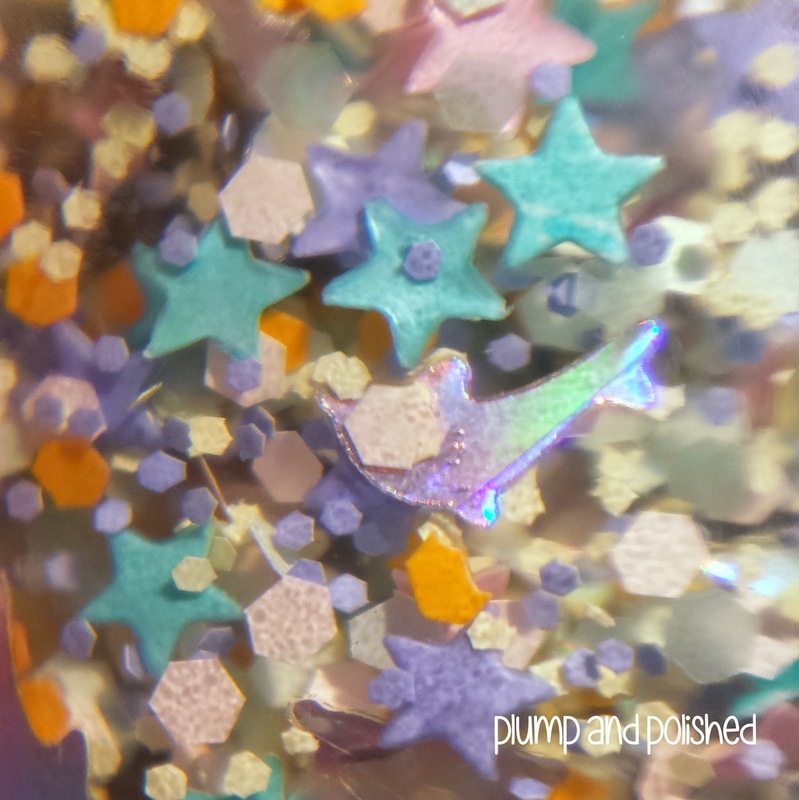 Each full size bottle of Coral Reef comes with a small bag of a special glitter mix. 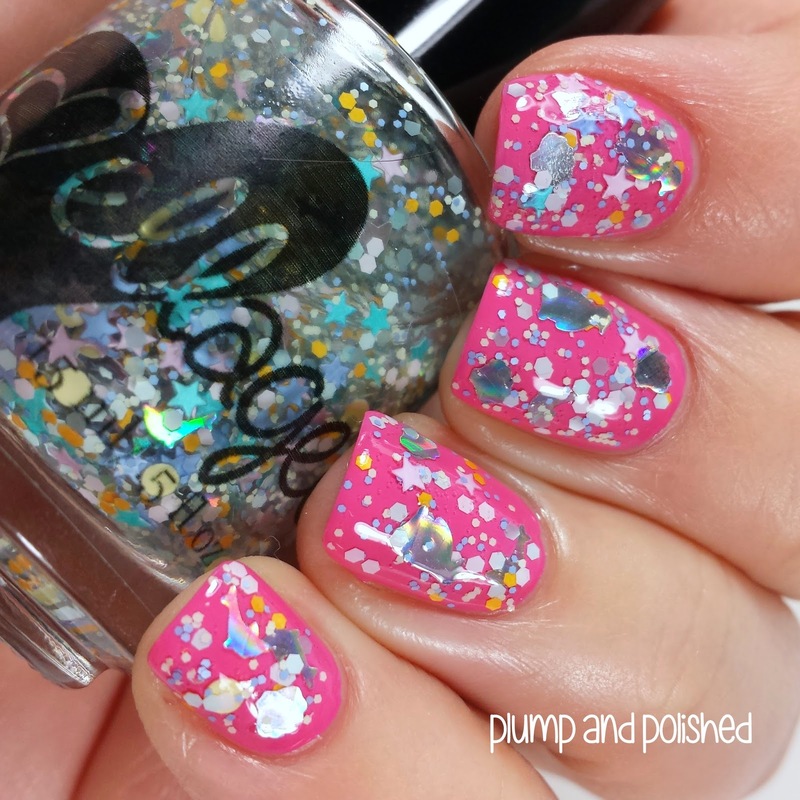 This mix includes large silver holo penguins and seashells. Unfortunately, some pieces of this glitter melt in polish so it's riding on the side. They're just too cute to leave out! This polish was super easy to apply. I used one coat, added some penguins and seashells, and then used another coat. The formula was great and had an even glitter distribution. I didn't have to fish for the dolphins. The penguins and seashells were easy to apply. I topped it with another coat of polish to make it look seamless. One coat of Glass smoothed it over perfectly. How cute are those penguins and seashells? I love them to pieces! Ellagee polishes can be purchased at ellagee.com. Rainbow Reef is $9.50 USD plus shipping, and will be available starting July 10, 2014. Glass top coat is $6.50 USD plus shipping. Be sure to follow Ellagee on Facebook and Instagram for updates! 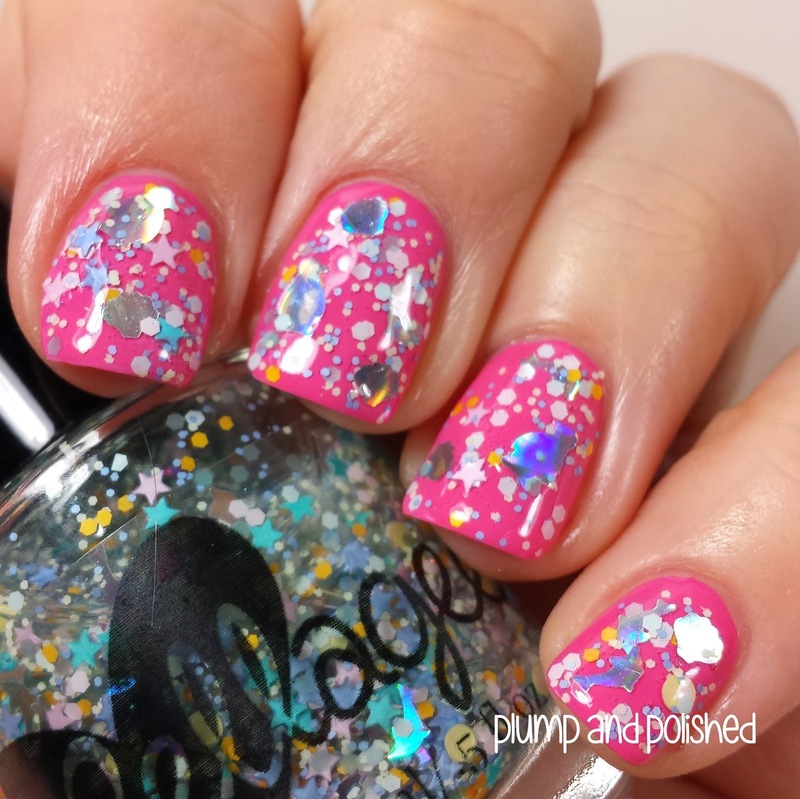 I need this polish in my life! The penguins are too cute! Penguin glitter?! I love it!! They've waddled their way into my heart!